Vince joined the Rotary Club of Pinjarra in July 2007, having been introduced to the club by John Tuckey. This wasn't Vince's first experience with Rotary though - he was previously a member of the Rotary Club of Midland, having joined that club in 1998. Vince is married to Nancy who has been, and continues to be, a great supporter of his work with the Rotary Club of Pinjarra. They recently moved out of the area in a downsizing exercise. To the credit of both Vince and Nancy, they have remained not only as club members but as very active participants in most club activities. Vince has a history of taking on the positions nobody else wants. At Midland, he served for several terms as either Secretary or Treasurer - roles that he has continuously held at this club for the past five years. Our members are all aware that, in the absence of any other volunteers for the position, Vince has agreed to continue as Secretary for another year. Members know that Vince is a great believer in making sure that everyone gets all the necessary information - through emails and of course his Secretary reports at our club meetings. What most people probably don't realise is that Vince also likes writing, and he uses this to advantage in the writing of detailed Board minutes. Vince never leaves anything to chance, or open to misunderstanding, and his fastidiousness with the minutes is testimonial to this. Vince has great community spirit. Away from Rotary he is a Justice of the Peace - a role he has filled for some 20+ years. In retirement from his work life as a retail pharmacist, Vince has devoted increasing time to being a JP, in both Mandurah and Perth. 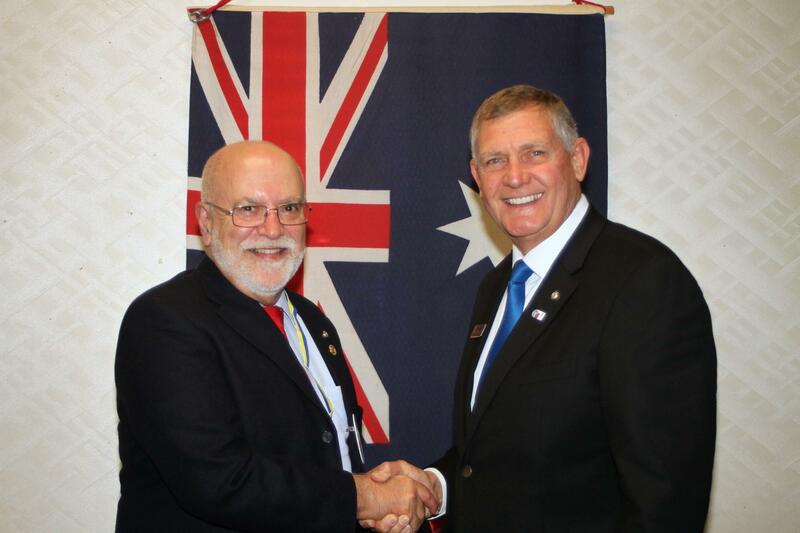 Vince was nominated to become a Paul Harris Fellow in recognition of his continued dedicated service to the Rotary Club of Pinjarra, particularly as Treasurer and Secretary for many years.